Select All Time for Time range. 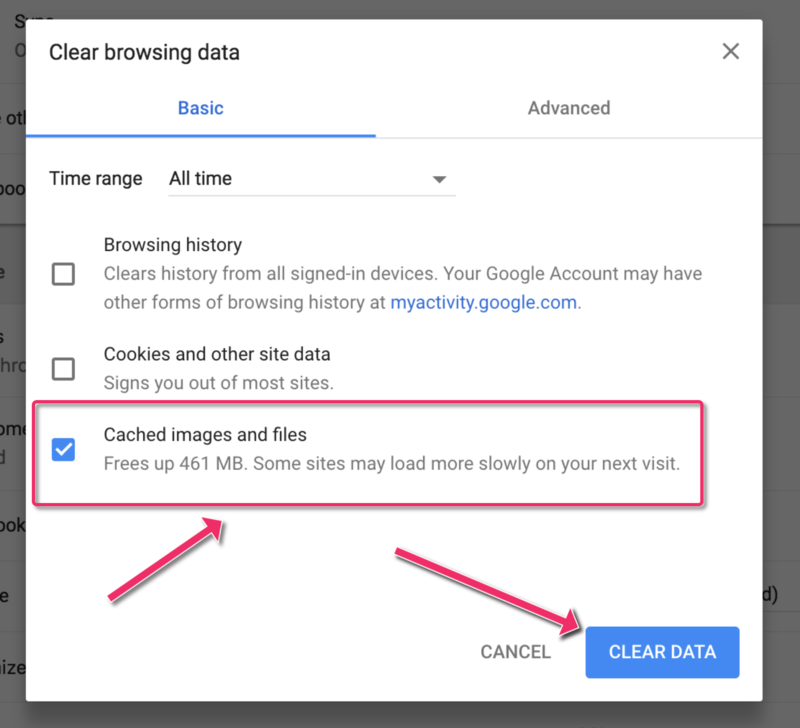 Tick Cached images and files to clear cache. Google Support note on this: https://support.google.com/chrome/answer/95582.